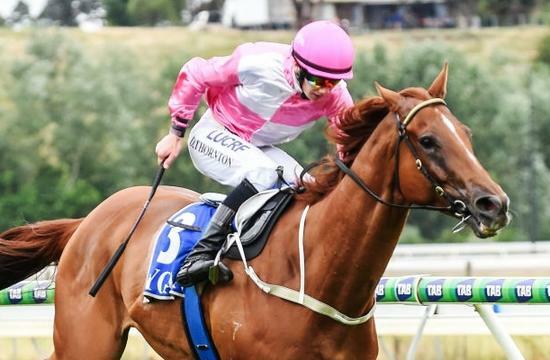 Astute followers would have been on Startierra on Thursday at the Kyneton Meeting. He was on the quick backup from a very soft run at Moonee Valley on Friday night where he was beaten by the wide barrier and deteriorating track conditions and back on his favourite type of racecourse a tight turning track with a short straight and he duly delivered off the back of a super ride by the in-form Damien Thornton who gave him a peach of a ride and he ran away from them! He is one of the Senior statesmen in the stables a very lightly raced 6yo with 5 wins on the board from only 28 starts he is a bit of a character with plenty of personality and much loved by his Hancox Racing Syndicate.